Combine all ingredients in a bowl or large zip-top bag. 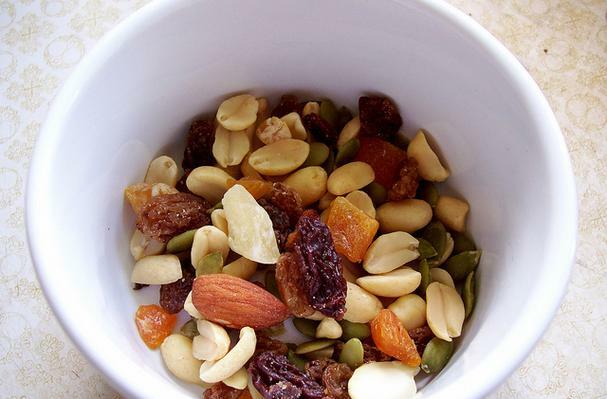 Perfect for a hike, trail ride or on-the-go snack, this homemade trail mix is a variation on GORP (Good Ol' Raisins & Peanuts) and is packed with protein and fiber! Using unsalted nuts will help keep you from being dehydrated without sacrificing flavor, and of course, the options are endless!